B.A. of Music in Trumpet Performance & Education, University of Iowa. Shelly Devlin directs the bands at Our Lady Star of the Sea school. She received her Bachelor of Music in Trumpet Performance and Education from the University of Iowa and her Master of Music in Trumpet Performance from the University of Washington. 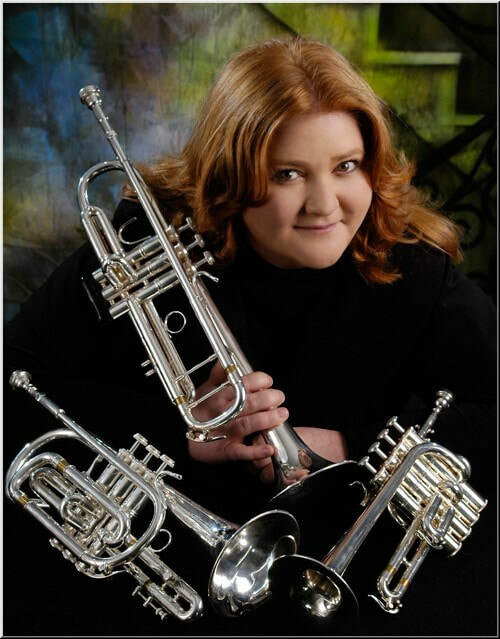 Shelly also maintains an active private music studio, Shelly Devlin Brass Studios, teaching 62 trumpet, French horn, trombone, baritone, and tuba students per week. Shelly’s students have seen successful performances at recitals and statewide music festivals, and many of her students have had the honor of being accepted into All State, All Northwest, local youth symphonies, and college music programs. Shelly has served as brass coach and clinician to Northwest Washington area schools, adjudicated Solo and Ensemble Festival for the Washington Music Educators Association, taught High Brass Techniques to undergraduate music majors at the University of Washington, served as brass coach for the Bremerton Youth Symphony, taught as an adjunct trumpet instructor at Pierce College, and conducted Brass Camps throughout the Puget Sound region. Shelly also served as a trumpeter with Navy Band Northwest. An active performer, Shelly currently plays trumpet with the Bremerton Symphony and Choppers Brass Quintet. She has been invited to perform as a trumpet soloist on Doctoral Chamber Recitals and has been sponsored on solo tours to the Midwest. Fifth Grade and Middle School students choose whether to continue their music education in the school band or in the school choir. Both groups rehearse for 45 minutes twice a week. Two times a school year, Band, Choir, 4th Grade recorders, and K – 3 Choir perform at school concerts.